A default divorce occurs when the defendant receives notice that his spouse has filed for divorce and he does nothing about it. If your spouse doesn’t officially defend against your divorce complaint, either by objecting to its grounds or to your requests for custody, support and property distribution, New York law allows you to proceed with the divorce anyway by filing for default. If you act promptly to submit all your required paperwork, you can conceivably complete the entire default divorce process within three months. New York requires several filed documents to begin the divorce process. At a minimum, these include a verified complaint for divorce, a summary notice of the complaint and a summons. New York’s residency requirements are somewhat complicated but actually not all that stringent, so in some cases, you can file this paperwork immediately. If both you and your spouse are residents of New York at the time you file, and if you lived there together when you decided to end the marriage, you've established residency. Otherwise, one of you would have to have lived in the state for a year before you can file. If you were married in another state and were not living in New York at the time you decided to end your marriage, you’d have to establish a two-year residency. After you’ve filed your divorce documents, you must officially serve your spouse with the summons and the notice of your complaint. This is due process and New York requires that you have the paperwork hand-delivered to your spouse. However, you can petition the court for permission to use an alternate means of service if unique circumstances exist. The summons tells your spouse that he must contact the court to ask for a copy of your complaint and he should file an answer to the complaint within 20 days. If he lives out of state, he has 30 days in which to file an answer. After you have him served, you have an additional four months or 120 days to file proof that you've done so with the court, but you don't have to wait that long. You can file your proof immediately. Forty-five days after the expiration of your spouse’s time period for responding, and if he does nothing, you can file a petition asking the court to enter default against him. You must have filed your proof of service by this time. New York will also grant you a divorce by default if your spouse answers your complaint with a waiver, indicating that he doesn’t want to be involved in the process. The court will schedule an inquest hearing. You must appear before a judge to confirm the information contained in your complaint and to explain why you think you’re entitled to the divorce terms you requested. The court will then grant your divorce. How quickly the court can schedule your inquest depends on how busy the court’s docket is, but if you filed your paperwork immediately after your spouse defaulted, you could technically be divorced as soon as 65 days after you had your spouse served. This assumes that he had 20 days to respond, you requested default immediately after 45 more days passed and your inquest was scheduled immediately. If your spouse changes his mind and decides that he wants to be involved in the divorce process after all, he can petition the court to set aside or vacate your default divorce judgment. New York law does not include a specific deadline for doing this. However, the longer he waits, the less likely it is that the court would grant his request. He would have to act relatively quickly to make use of this option. How Long Does It Take to Get a Divorce in Missouri? Do Divorce Papers Expire if Not Served? 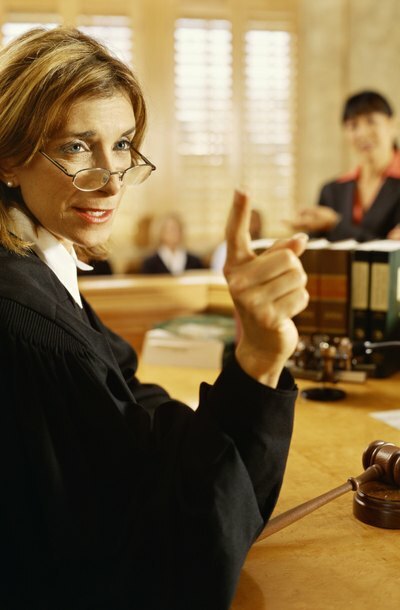 Divorce involves an intricate series of rules -- and many of them come with deadlines. Service of process is one such rule. Your spouse has a right to defend himself in the divorce action, so you must serve your divorce papers on him according to the laws of your state. There's usually a deadline by which you must do so, but it can vary depending on where you live. Getting a quick divorce in Virginia depends on your capacity for patience and your definition of quick – there's no such thing, especially without your spouse's cooperation and if you don't want to cast blame. Although there are things you can do to speed up the process a little after you file, waiting to file could take a long time if your spouse has done nothing wrong to end the marriage. What Happens in Minnesota If a Divorce Becomes Defaulted? How Soon Can I Get a Divorce After a Spouse is Served in Texas?